Focused on innovation in design, manufacture and offering the best locker solutions in Australia. 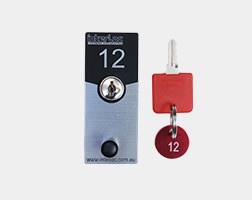 Enhance your appearance, function or user convenience with Interloc products. Sophisticated design in functional areas tailored to your every need. Market leader with an excellent product range, client focused plus unmatched warranties and support. The range of product reflects an understanding of the market, as the needs of each client differs greatly. Our lockers are proudly made in Australia. 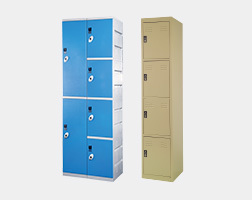 Our main types of lockers are: timber laminate lockers, plastic lockers, steel lockers and mini lockers. Our lockers can also be customised; hence, they are extremely popular across a wide variety of industries. 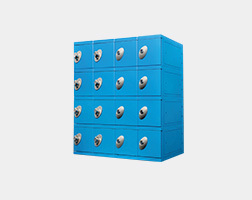 Our lockers are used Australia wide in many applications, including, gym lockers, office lockers, swimming centre lockers, change room lockers, mini lockers, golf lockers, sports lockers and factory lockers. We welcome all enquiries to how we can assist you with your locker needs. For maximum flexibility with accommodating deco and colours. To accommodating wet areas, these are ideal as swimming centre lockers, and refrigeration area lockers. 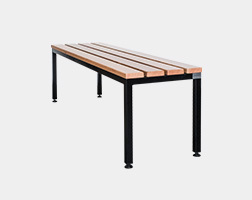 For areas that require maximum durability such as, manufacturing areas, and building and construction areas. 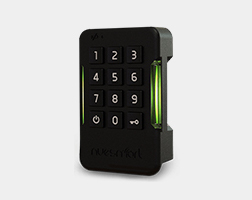 Ideal for small items; such as, wallets, mobile phones and key lockers. Stay up to date on how we strive to improve our product and deliver excellence across the market. Come visit our exhibition stand. Come visit our exhibition at stand i34. This funky fitout see the space used well with a unique layout and high end finishes. 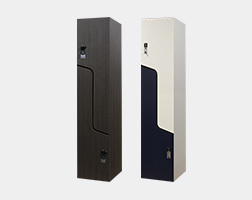 Interloc worked with Morphos to provide a solution of Lockers to existing utilities areas. Interloc worked with Taylor constructions to ensure the lockers fitted in the Recess space provide. nterloc worked with the builder and designer to create the desired effect to suit this Heritage building. Interloc provided B wave lockers, customized to suit available space and keep individual lockers numbers. A nice and clean space was produced which provides a wonderful locker system for their customers. This funky fitout sees the space used well with a unique layout and high end finishes. Interloc's Timber Laminate Lockers have met Ecospecifier's Level A GREEN TAGTMGreenRate Certification requirements.